Today we visit my favorite stadium in all of the Grapefruit League – Tradition Field! See Met legends Keith Hernandez and Ron Darling in the booth (Gary, too), cool off with Dippin Dots from a helmet and cheer on the boys who’ll fan the flames of “this is our year” optimism for the next two months. Besides my very clear bias as a Mets fan, this stadium is pretty great. It has cheap seats out on the grassy berm, lots of concessions, lots of shade and easy parking. 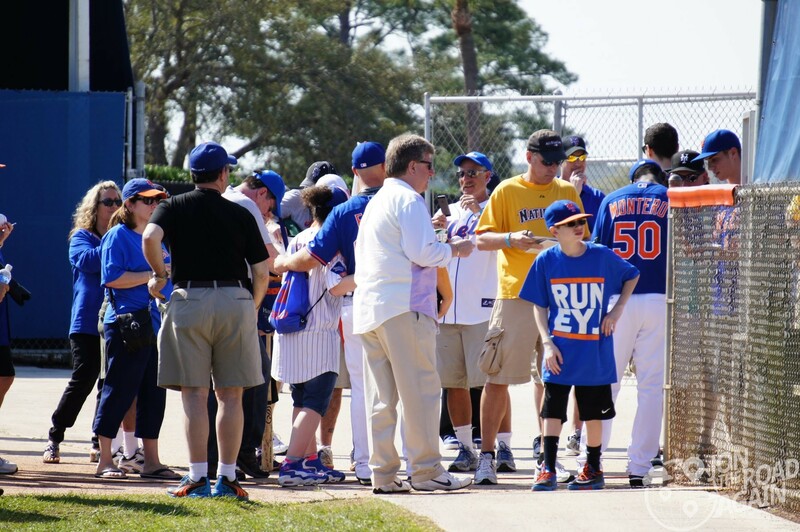 The practice fields are close by and you can even watch players in the batting cages. Often special guest instructors like Edgardo Alfonzo and Mike Piazza are here for a week or two offering additional instruction. Get to the park a few hours early if you want to take in the practice sessions. There are four or five fields meaning the really young talent may be playing a game while a few others take to another field just for warm-ups. If you’re looking for autographs they’re pretty easy to come by here. 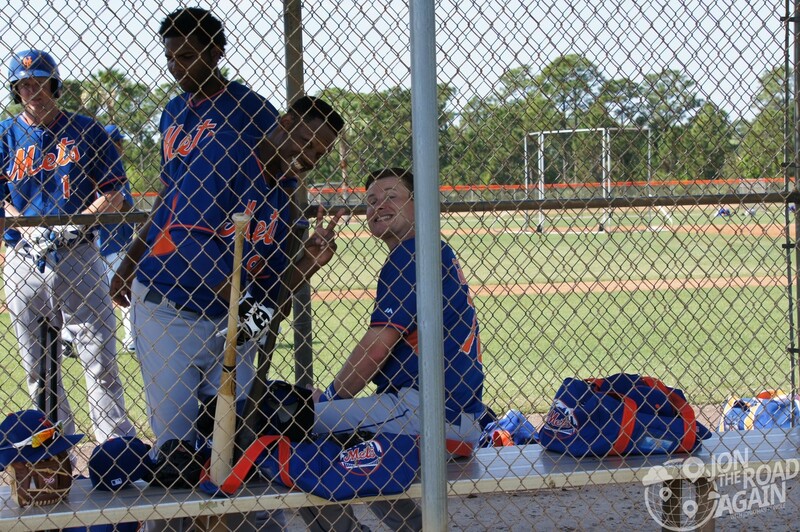 You might even catch a few players cheezing for the camera. Best of all, you are guaranteed to walk out of there with a baseball if you keep your eyes peeled. Lots of foul balls are hit from all those practice fields and no one is walking around picking them up. Those balls probably go for $20 in the Mets store. Happy hunting!